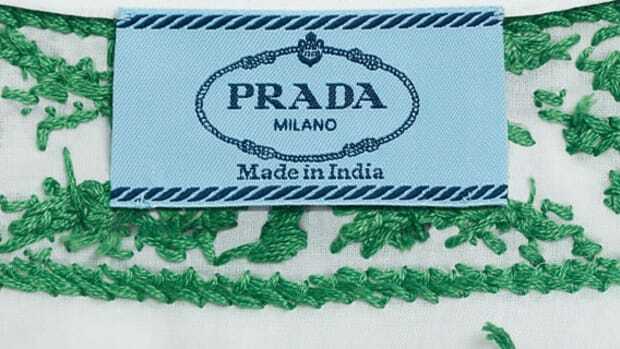 A sure fire way to have you feature in the next update of Jak & Jill, the Tricolor Brushed Leather Lace-Up seen here became the talk of Milan late last year when designer Miuccia Prada featured them prominently during the Prada Spring/Summer 2011 Collection presentation. 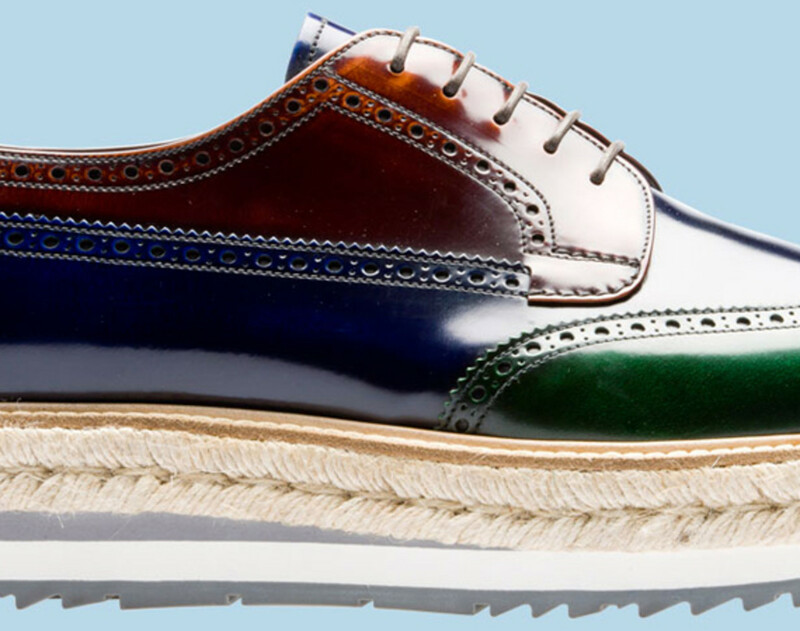 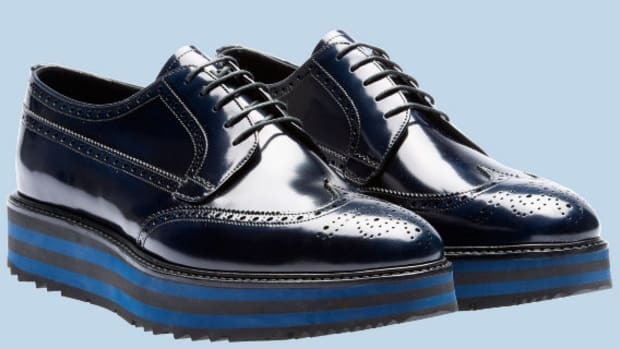 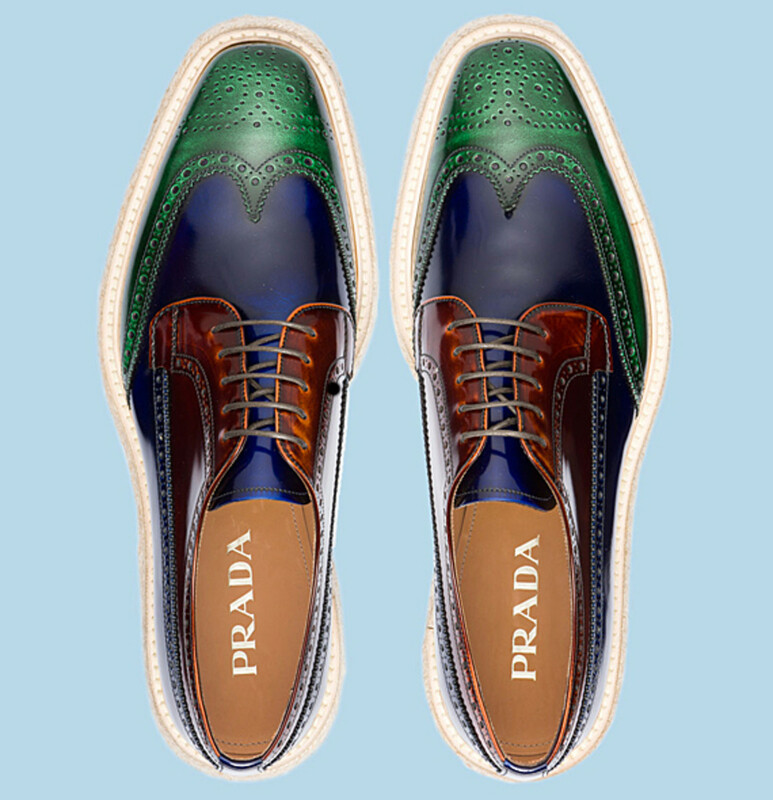 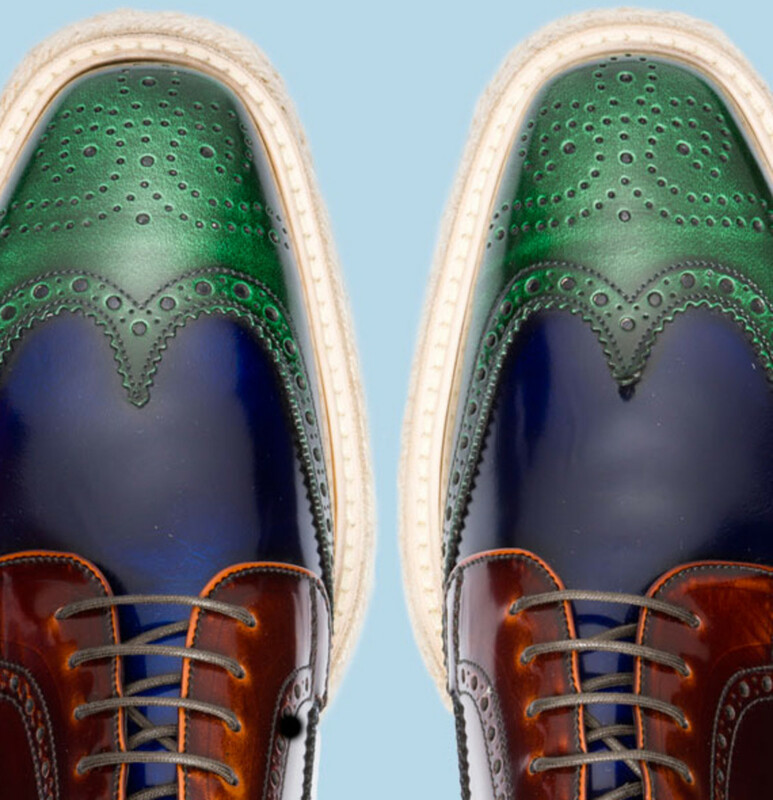 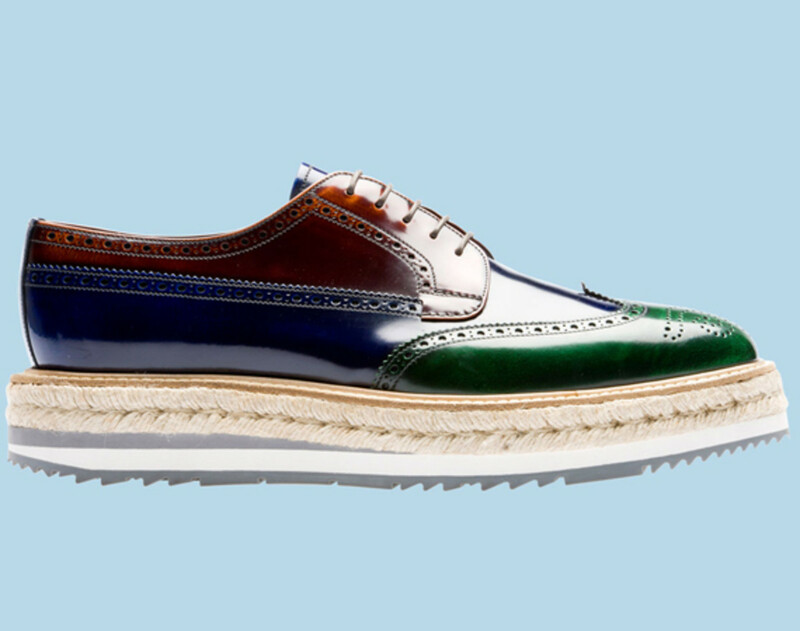 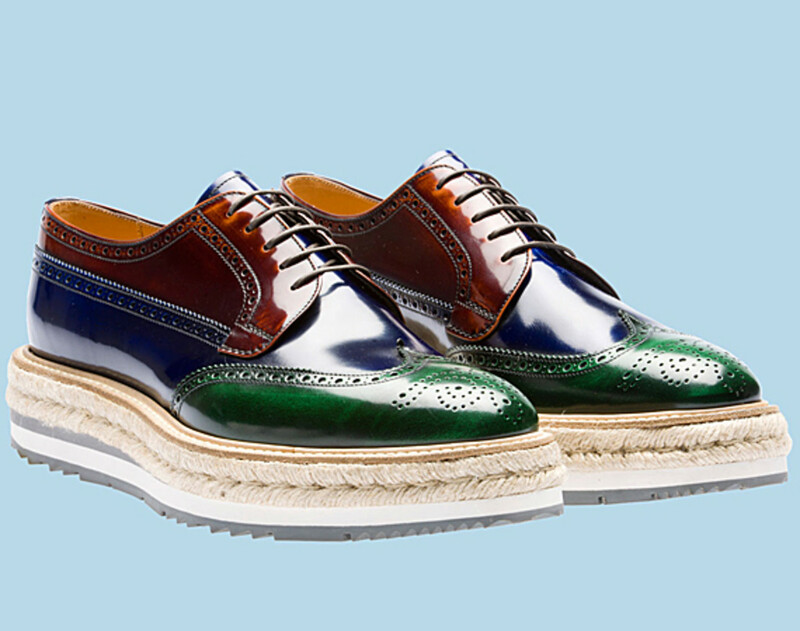 A most interesting combination, the Prada Tricolor Brushed Leather Lace-Up is not only a design splashed with 3 contrasting colors - green with slight hint of cornflower blue and burnish copper. 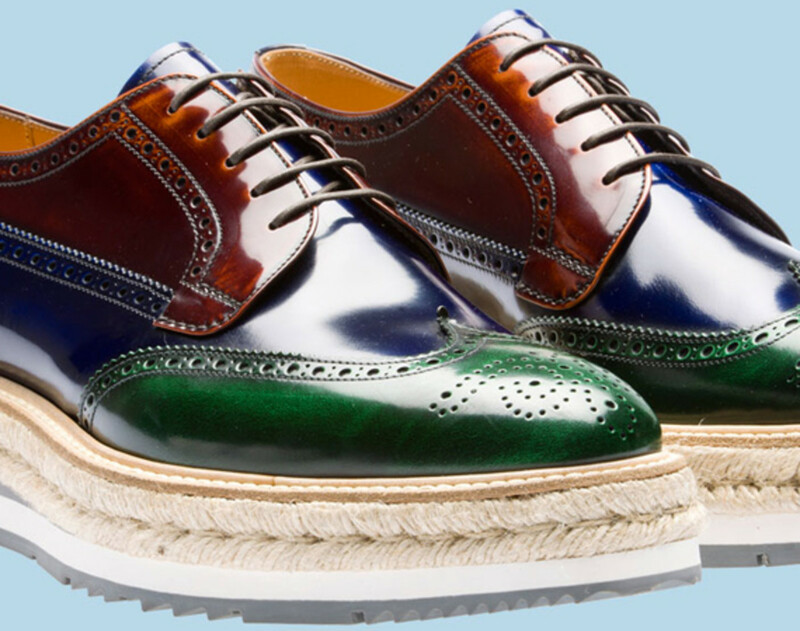 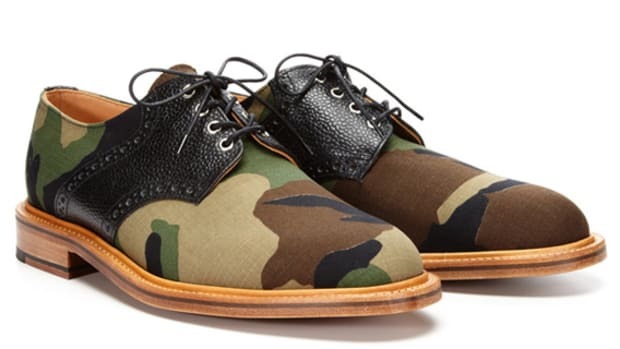 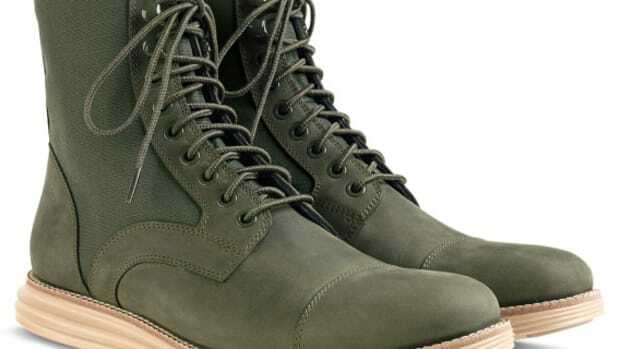 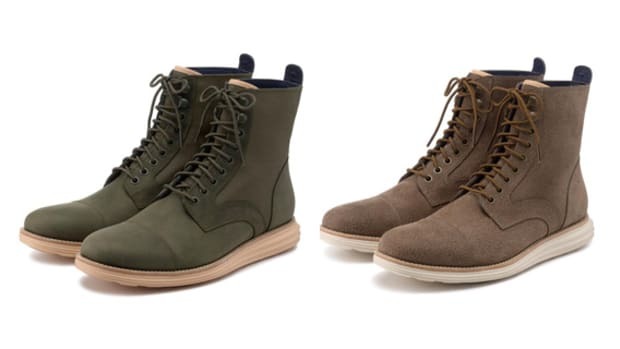 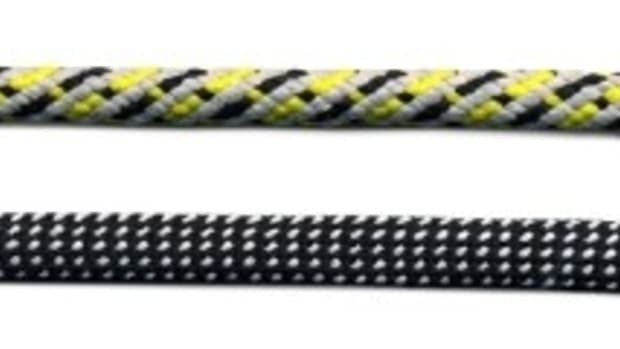 The wing-tip footwear also consists material combination uniquely its own, with baroque leather upper, layered rubber outsole, and braided jute midsole. 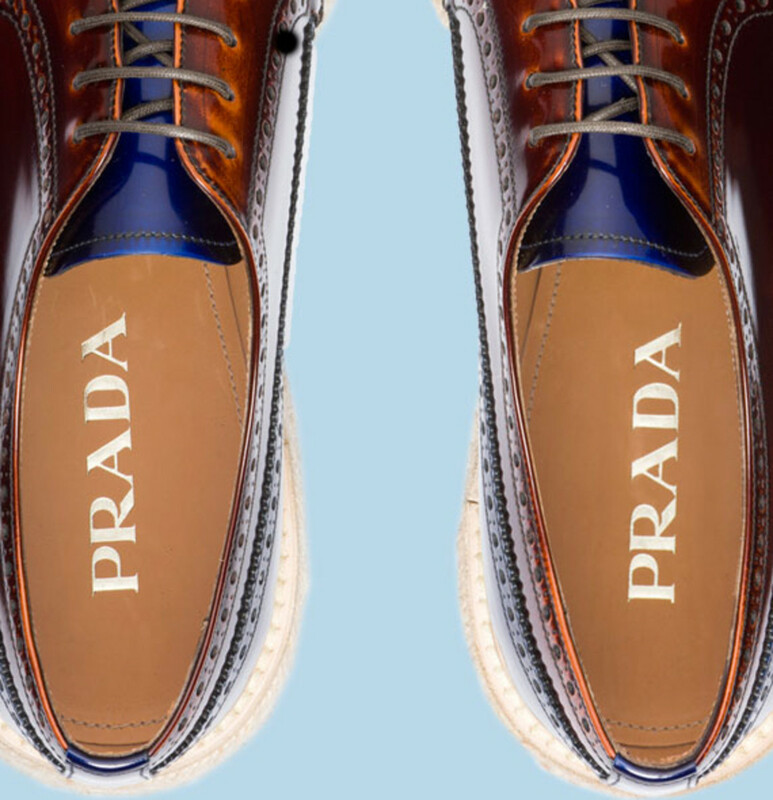 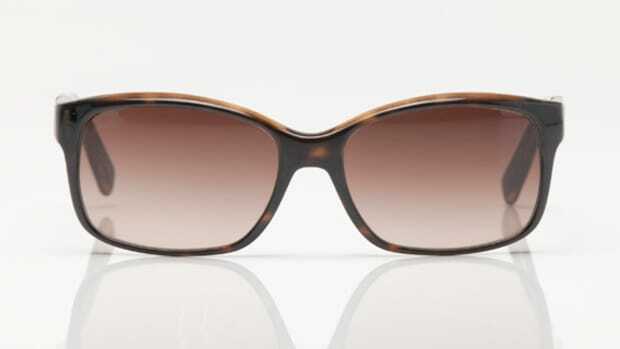 One of the more popular Prada offering this year, you will not find it in most Prada retail locations except for its online store.